CH2249-M, shown with a frosted glass lens and a Flat Bronze finish. 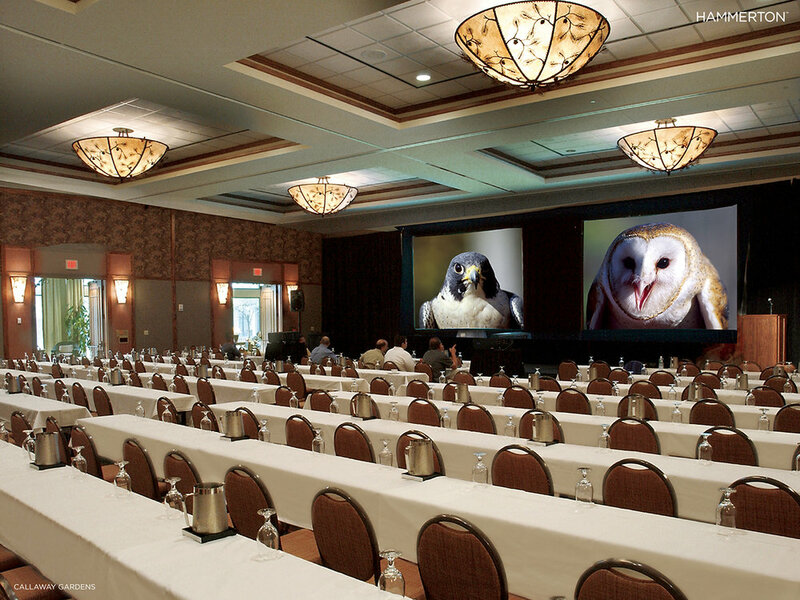 Let’s face it: finding the ideal fixture for a large overhead area can be a challenge. Well-worn solutions – think wagon wheels, fabric drums, and the like – may fill the space, but they typically lack in the unexpected. 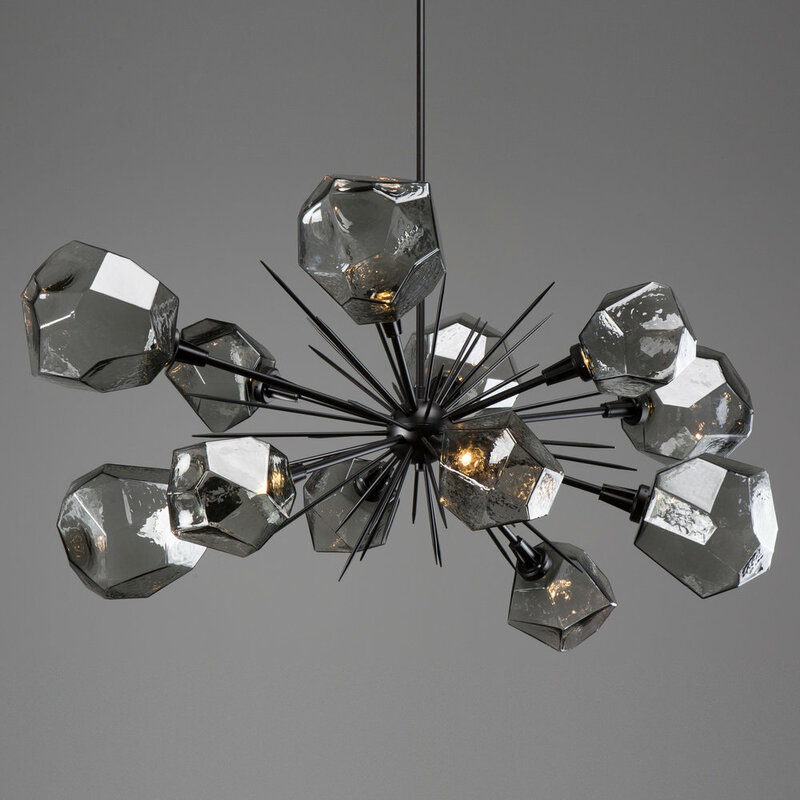 And over-sized arm chandeliers can be too fussy for transitional or contemporary spaces. Enter the ‘Nested Ring” two-tier chandelier. Clean lined, with a bit of sparkle -- and at 60’’ in both diameter and height, it can solve the space problem in everything from large residential entries and great rooms to hotel lobbies, restaurants, country clubs and more. In addition to our 60"D size, we also offer single and double tier versions in 26"D and 44”D. 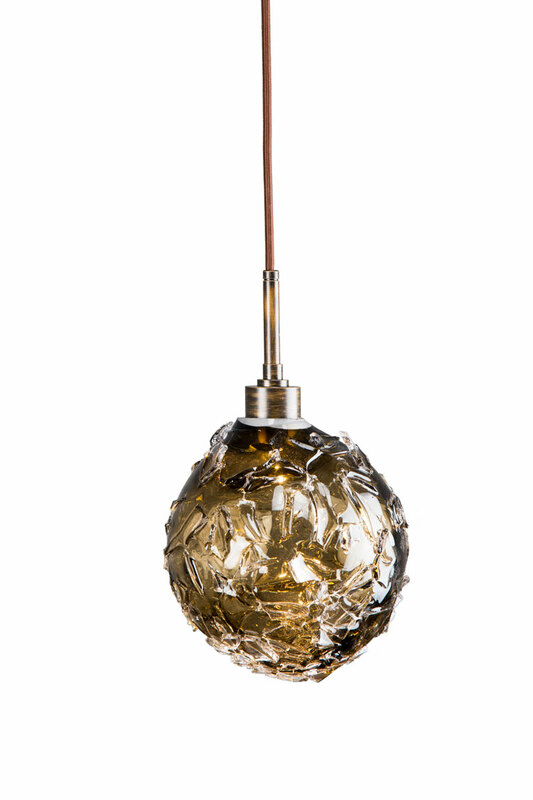 CH2305-L: 60": diameter, in a Flat Bronze finish and Clear Seeded glass lens. Click on any product image for specifications, or contact your Hammerton representative for more information. CH2249-M in in a Matte Black finish with Clear Seeded glass lens. CH2249-M, 44"D x 44"H, in a Flat Bronze finish with Clear Seeded glass lens. 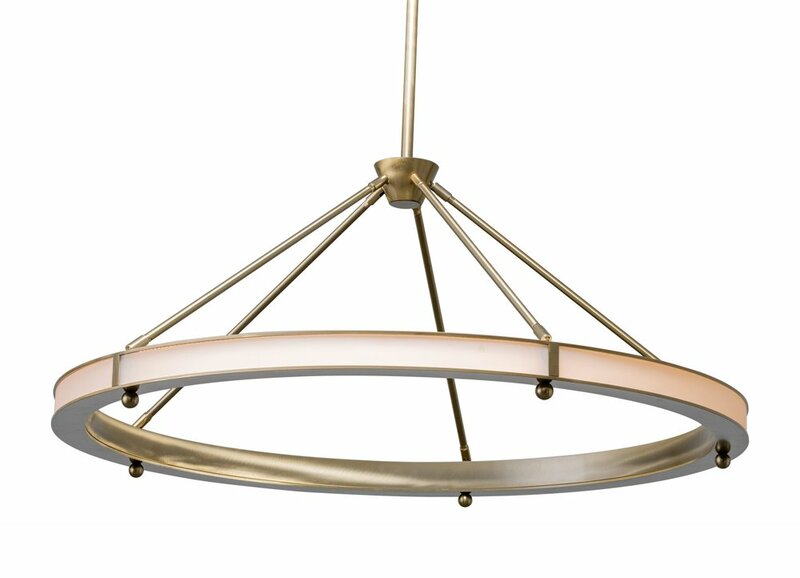 CH2305-M: 44"D, in a Flat Bronze finish with Clear Seeded glass lens. CH2249-L, shown in a Flat bronze finish with light mica lens. CH2306: 26"D, in a Flat Bronze finish with Clear Seeded glass lens. CH2249-L: 60"D x 60"H, shown in a Flat Bronze finish with Frosted Seeded glass lens. 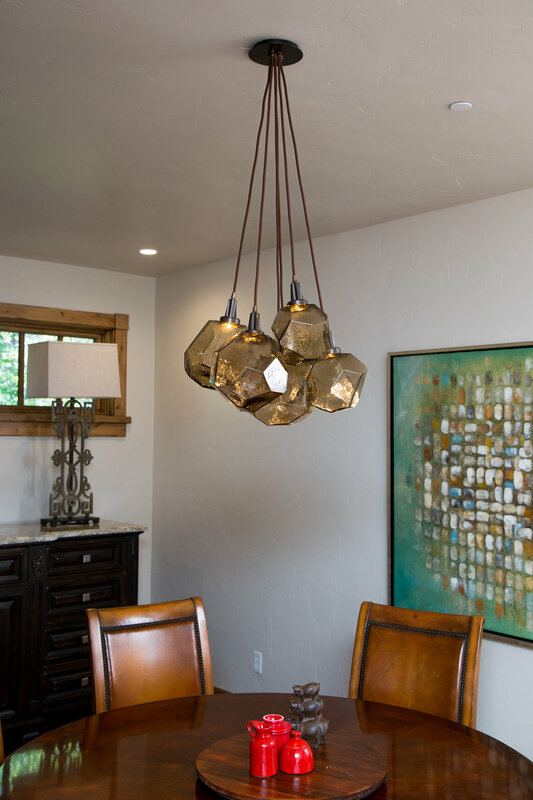 Above, a pair of two-tier Nested Ring chandeliers cleverly draw the eye up toward a magnificent view of the Tetons. Below, a similar chandelier shines over a California lakefront living room. Photo courtesy of Karma Home Accents. Below, a pair of Nested Rings transform the interior of a Ruth's Chris steakhouse restaurant. Custom Nested Rings are also available. In fact, as you can see below, our fabrication team is currently working on two 90"D fixtures. We've also designed damp rated versions for outdoor applications. See something of interest? Contact your Hammerton representative to learn more. 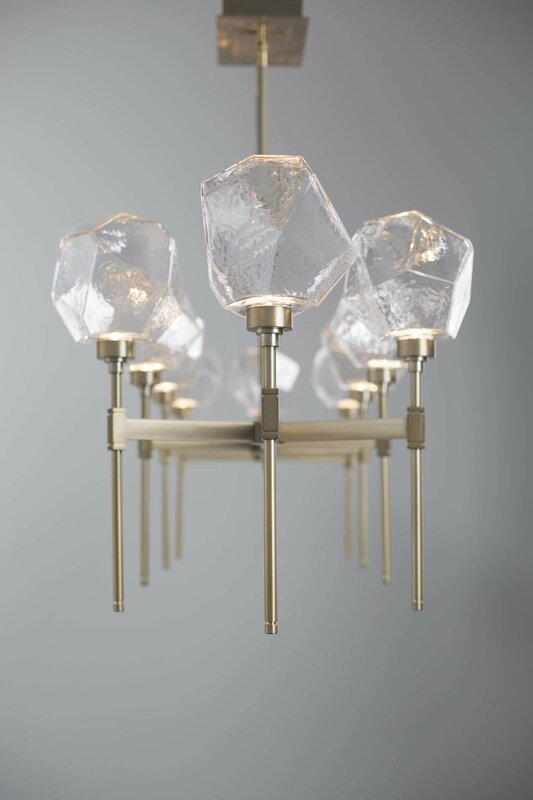 It's true that much of Hammerton's custom work involves bold, large-scale signature fixtures that make a big statement. But clients frequently ask us to solve much more subtle problems. Such requests can include modifying existing designs, extending an aesthetic element, value engineering a popular style of fixture, or simply meeting a tight deadline. Below are a few recent examples of these type of projects. Call your Hammerton representative to learn more about any of these designs. Dressing Up the Drum Tasked with updating the interiors of the historic Lake Merritt Hotel in Oakland, CA, Hetherwick Hutcheson Design needed budget-friendly contemporary decorative lighting that nodded to the building's Art Deco heritage. Hammerton developed a series of value engineered drum designs incorporating this Art Deco-inspired bottom diffuser motif. 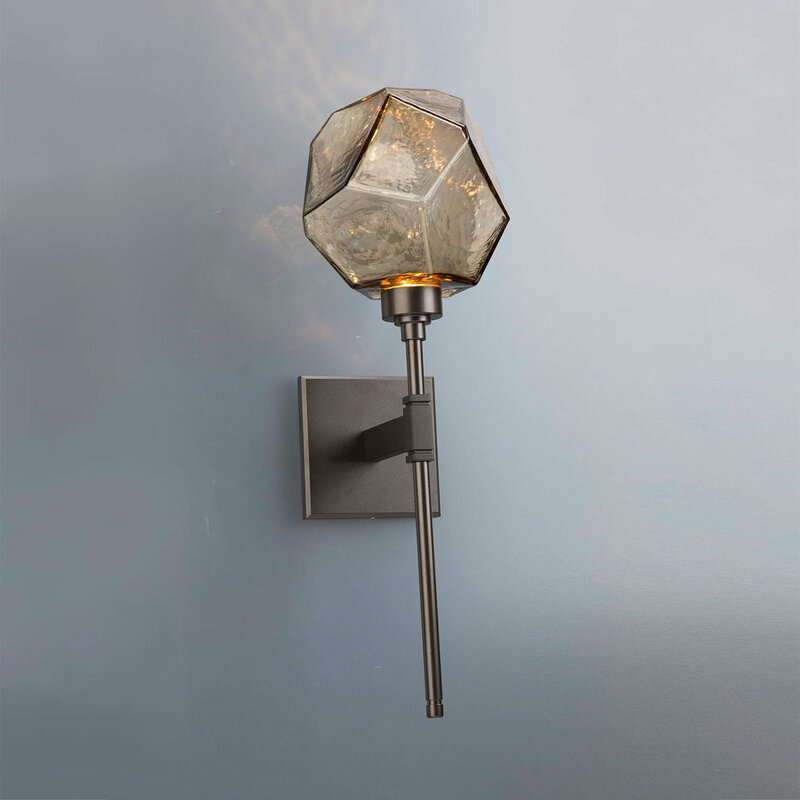 Modifying indoor fixtures for exterior use is something we do every day, and involves 3 basic considerations. First, lights must be damp or wet rated depending upon their intended location. Second, they must be rigidly designed to withstand wind. Finally, they must be constructed, pretreated and finished to resist the weathering effects of prevailing climate conditions -- think UV, moisture, salty air, and extreme temperatures. Below are two popular designs we recently modified for exterior use. When Less is More The lights below are a small sample of our recent custom work that falls squarely in the category of modern design. And while they appear very different from one another at first glance, they are all actually quite similar. 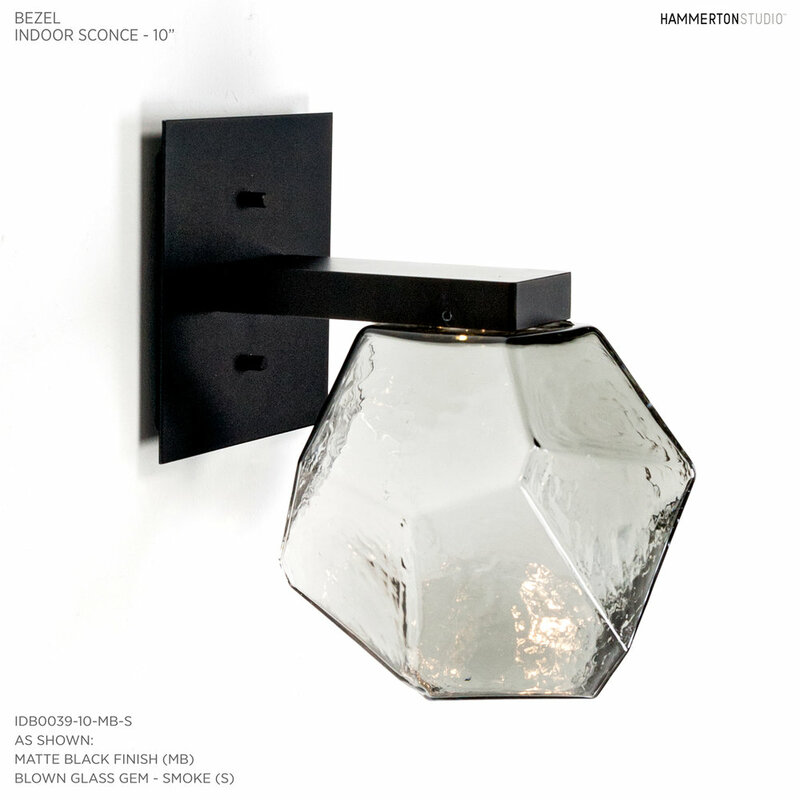 Each of these fixtures demonstrates how a single feature or detail can yield enormous design power. 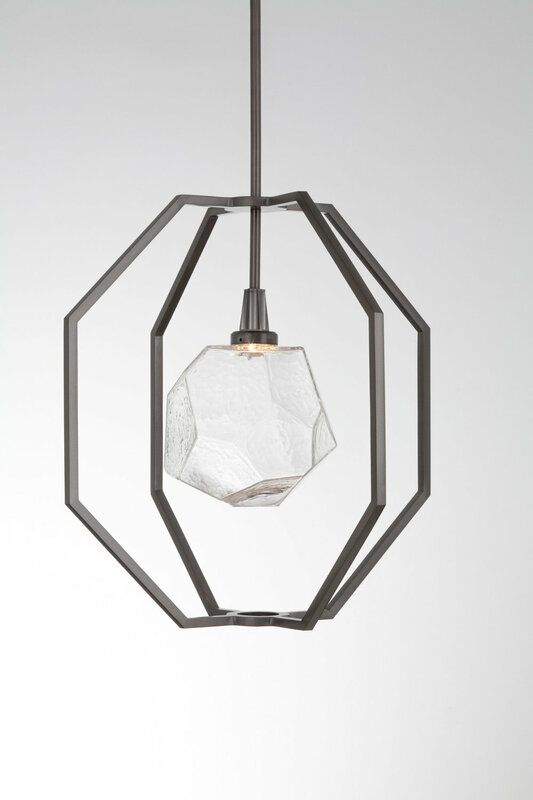 A simple glass ball hung akimbo, a steel LED-lit ring of brass, an asymmetrical assemblage of rectangular forms -- each is elevated to a starring role that captures the visual intrigue of the overall design. This utilitarian fixture is typically function-focused, but the floor lamp can offer a great way to extend a look in seating spaces and other areas that require additional task lighting. We've created hundreds of custom floor lamp designs over the years for hotels, restaurants, retirement communities and custom homes. Some are sleek and sophisticated, while others are more eclectic. A few of our recent favorites are featured here. Reinterpreting a Familiar Form When the design objective calls for a contemporary fixture that's equal parts 'safe' and 'surprising', the cube offers much potential. 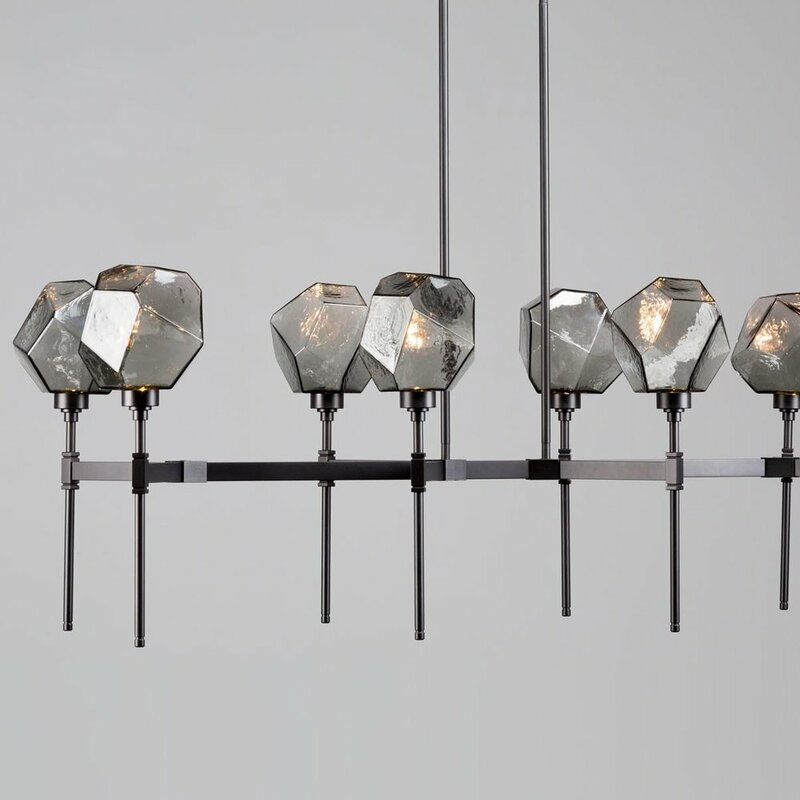 This simple geometry has served as muse for scores of custom lighting designs we've created over the years, many of which have become permanent additions to our catalog offering. Here are a few recent interpretations. 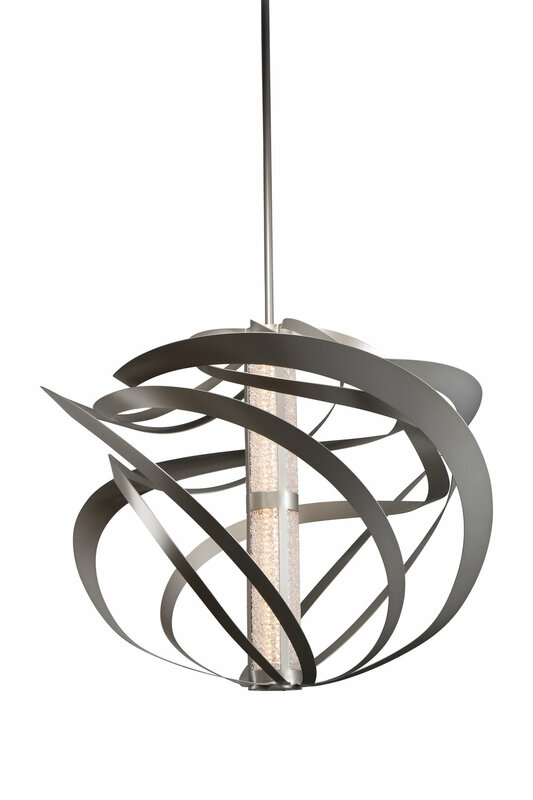 Sometimes Bigger is Better We routinely scale up pendant designs to suit high ceiling entry halls, great rooms, and other large overhead spaces. 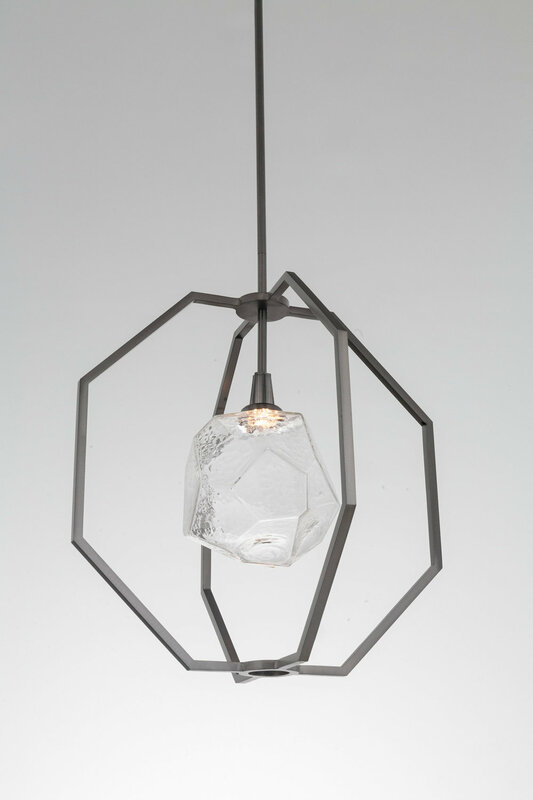 Below are recently modified versions of two popular contemporary fixtures. See anything of interest? Contact your Hammerton representative for details on any of these recent custom designs. 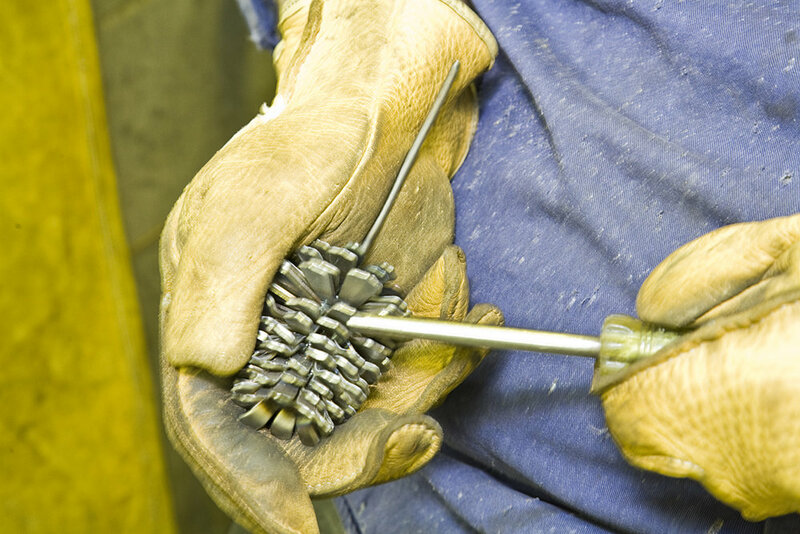 Customers who tour the Hammerton facility are often surprised to see so many women among the ranks of our fabrication and production teams, including metal fabricators, glassblowers, machinists, finishers, and final assemblers. 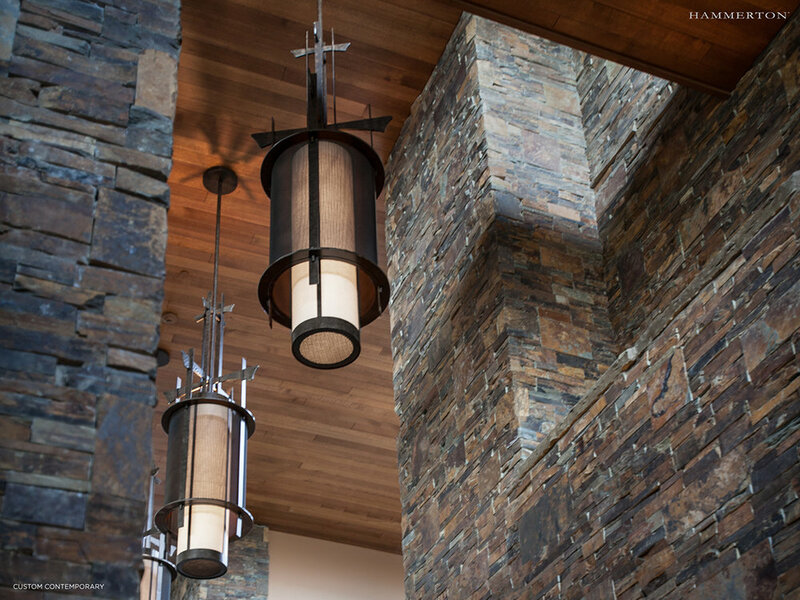 Not only does Hammerton break the mold when it comes to custom lighting design, but we also dispel convention when it comes to the faces and talents that work in all areas of our company. 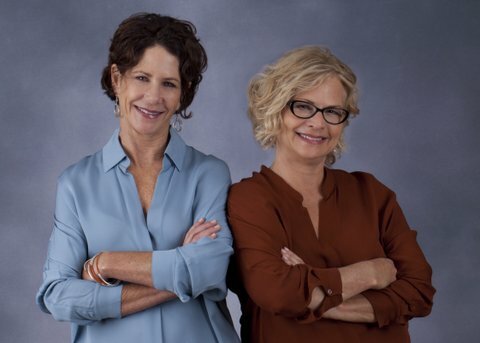 We hope you enjoy this brief video that spotlights a few of the remarkable women that contribute to our growing success. The kitchen and dining area in a Mediterranean home recently updated by LMK Interiors. 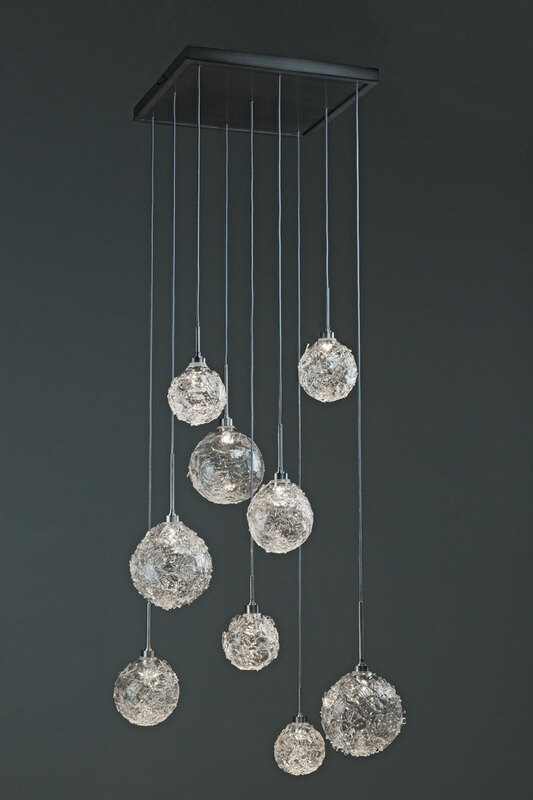 Over the kitchen island hangs a triptych of Elllisse optic blown glass pendants. A Parallel curved linear suspension floats over the dining table. A closer look at the dining area. 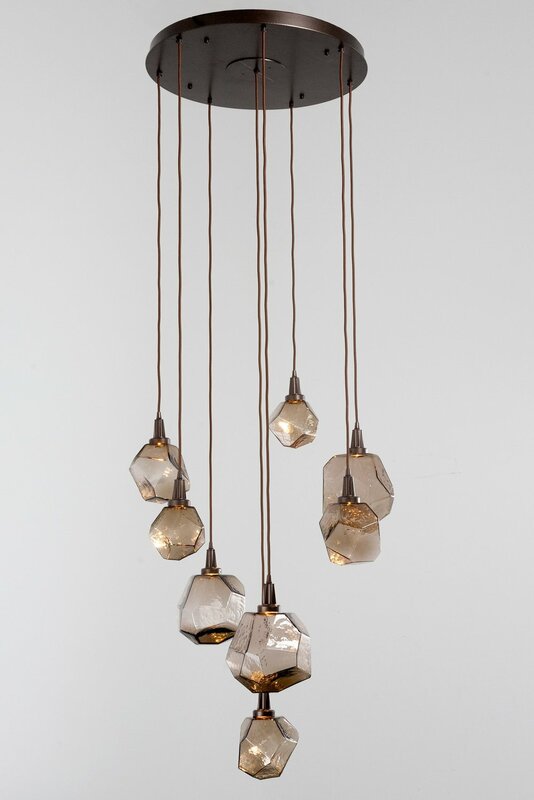 The Parallel linear suspension features clear granite kiln-fused glass fabricated in Hammerton's glass shop. 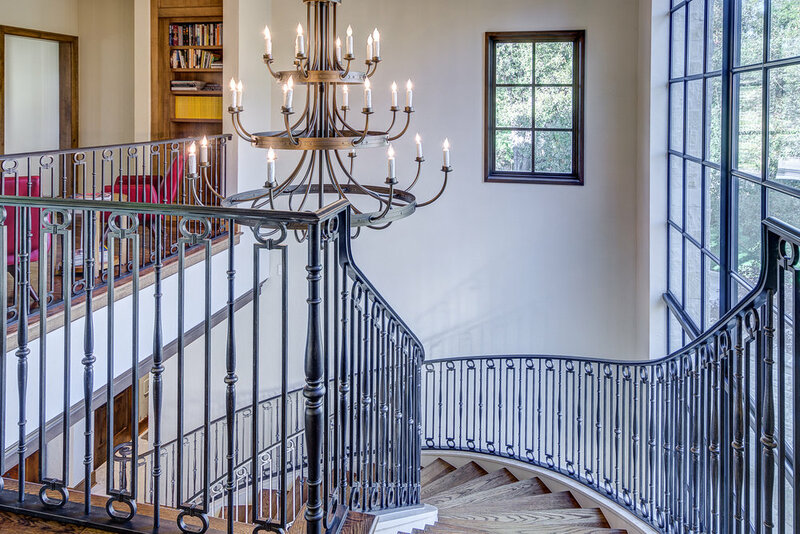 In the entry hall: two Parallel ring chandeliers. Another LMK project with a breezy dining area open to the outdoors. A Downtown Mesh linear suspension floats above the table. Above and below: A remodeled Napa, CA farmhouse with Ovo blown glass pendants above the kitchen and Uptown Mesh fixtures in the dining area and entry. 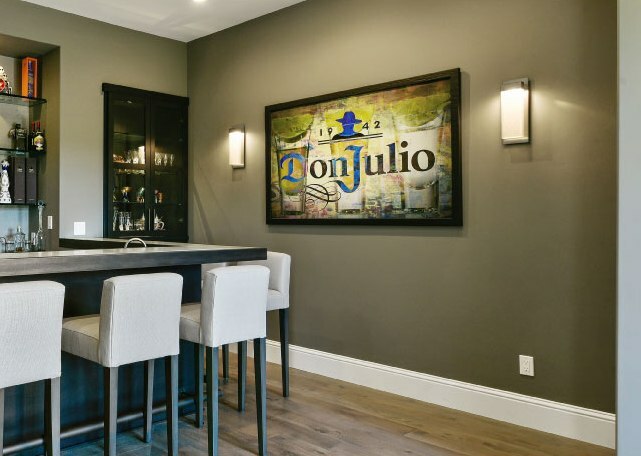 An LMK client opted to switch out a dining area for this festive Tequila bar. 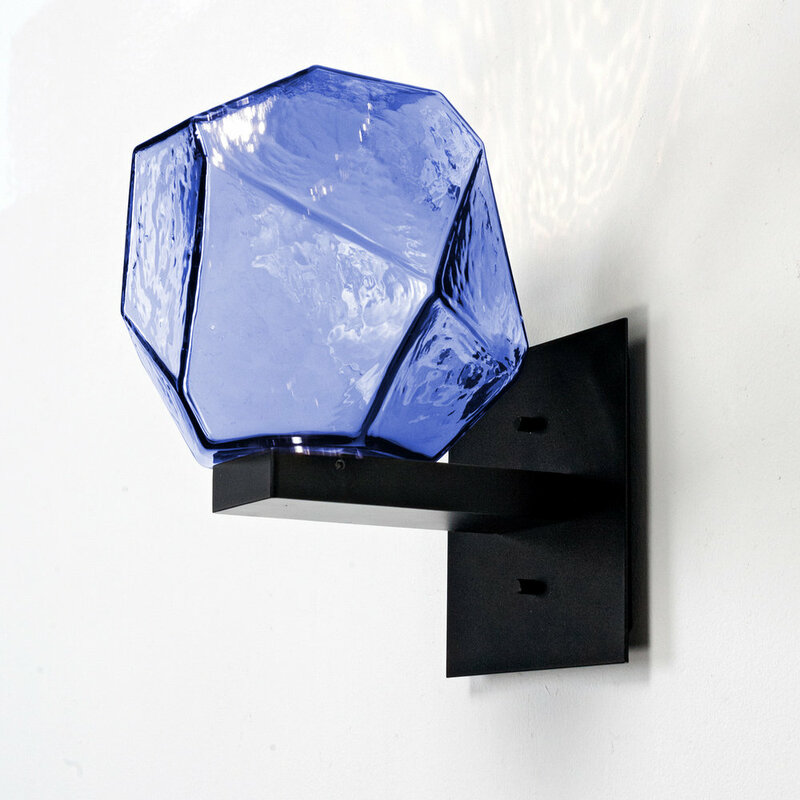 On the wall: Parallel LED sconces. A Tempest drum draws the eye upward in this clean-lined office. Table Lighting that Plays All the Angles. 1. Function. Good table lighting provides both ambient and task light, and the box style lends itself beautifully to both. 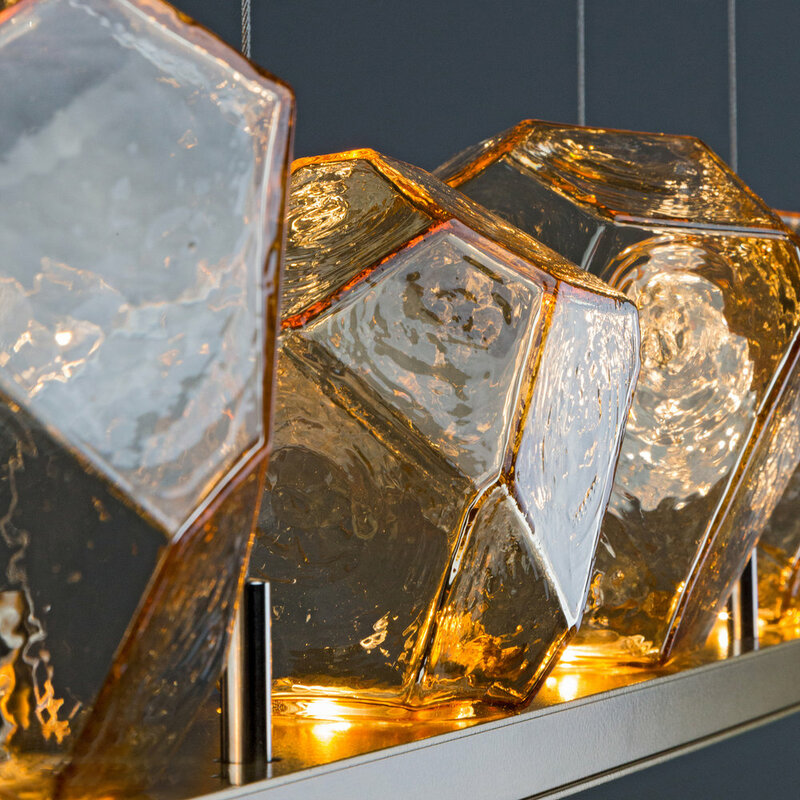 With diffusers on all six sides, a central light source can glow warmly in every direction. 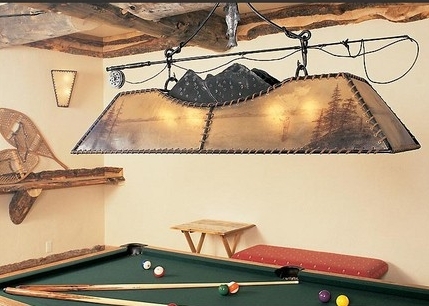 When extra task lighting is needed, additional light sources can be incorporated into the base. Ambient and task light sources can even be wired separately so each can be used independently -- a helpful feature for creating mood in a space. 2. Familiarity. 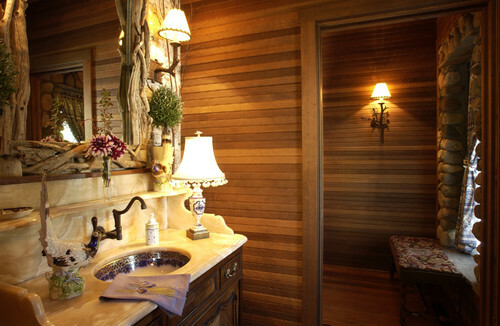 Enduring residential design always incorporates furnishings that are comfortable and reassuring. 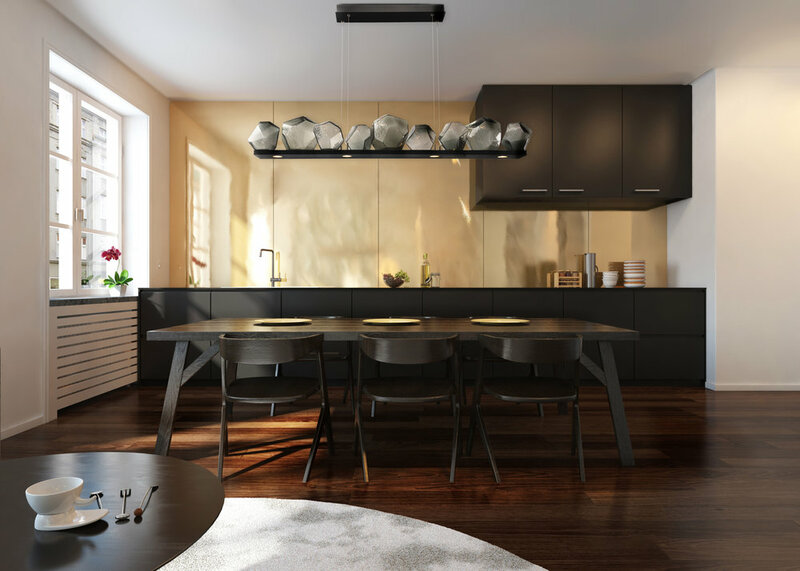 With straightforward clean lines that typically echo the shape of the table below or the room around it, a box-style dining light can “ground” an interior design and help the eye make sense of a space. 3. Flair. Call it style, panache, glamour -- but as the central focus of most dining spaces, the table light always needs an engaging element of design personality. The box shape is an ideal canvas for incorporating materials, textures and colors that complement the surrounding interior design. 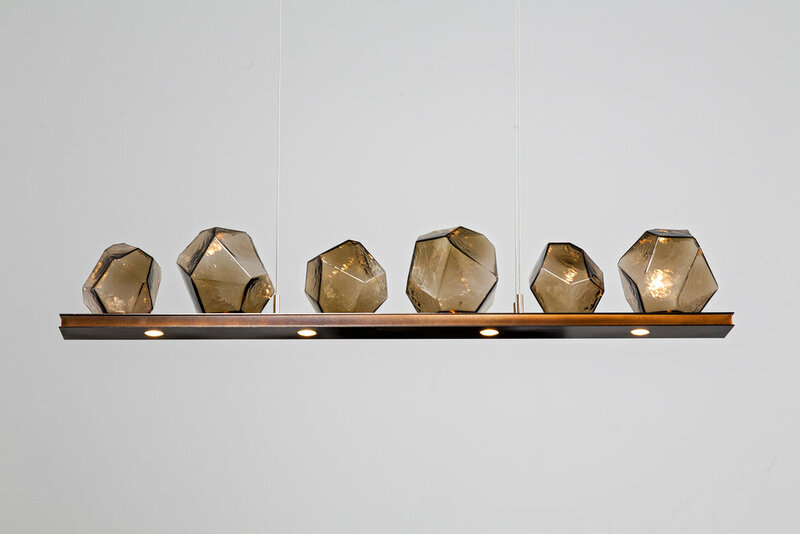 Suffice it to say that this fixture design “plays all the angles” of great lighting design. Take a look the installations below and let us know what you think. 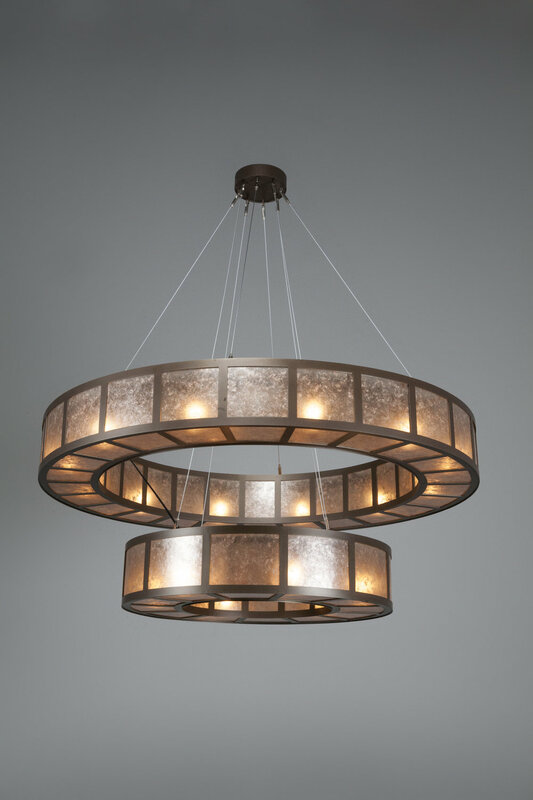 Contemporary PL2289, 60” wide, with fine mesh diffuser, frosted seeded glass cylinders and flat bronze finish.